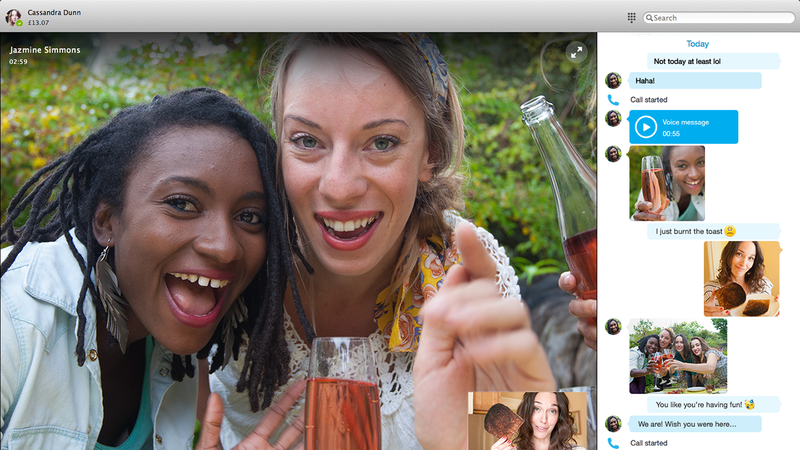 Skype for Mac got a modern redesign today that makes it look and feel more like the iOS versions. The redesign comes just in time for the impending release of OS X Yosemite, which is expected to be on October 16th during Apple’s mystery event. 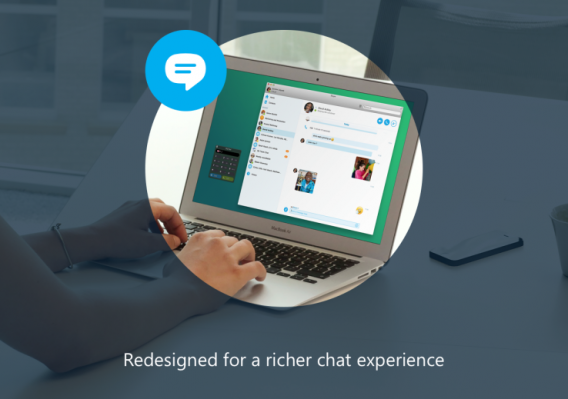 The redesign puts more of a focus on messaging, letting users know that Skype is not just for video calls. The chat interface looks very similar to Apple’s Messages app, which isn’t too surprising as users will feel comfortable with the new app. File transfers have been improved, and show images inline with your chat. There’s also support for large emoticons. And of course, Skype for Mac incorporates OS X Yosemite’s translucency, letting you see interface elements behind your current window. With this update, Skype for Mac is now 64-bit, meaning it can take advantage of more modern, powerful hardware to increase its performance. Windows users don’t have to feel left out for long. Skype plans on redesigning the Windows application in the near future too.